1. Prepare grill for medium-high heat. Toss onion, garlic, chicken, cumin, oil, salt, and pepper in a medium bowl. Grill onion and chicken until cooked through and lightly charred, about 4 minutes per side. 2. Let chicken rest 5 minutes before slicing. 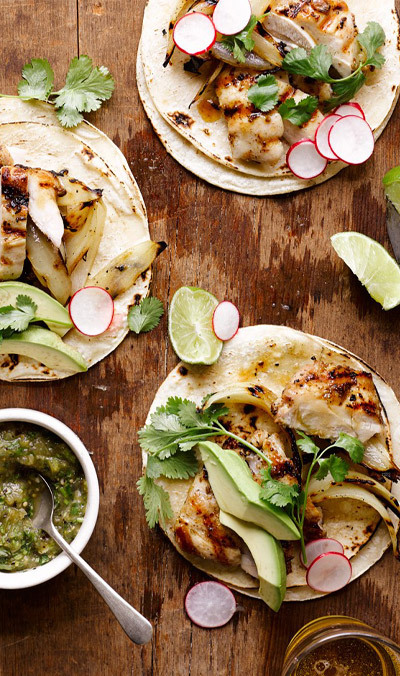 Serve with tortillas, avocados, Charred Tomatillo Salsa Verde, cilantro, radishes, and lime wedges.